Notes: This episode is based on lucy's radio show, My Favorite Husband, Episode #95 ("Husbands are Sloppy Dressers"). Notes: This show was filmed without a studio audience since the company was afraid the babies would not be able to perform on cue. Notes: Minnie Finch was played by Kathryn Card, who, almost thirty episodes later, would play Lucy's mother, Mrs. McGillicuddy. 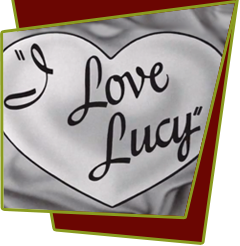 Notes: This episode is based on lucy's radio show, My Favorite Husband, Episode #48 ("Hair Dyed").